“It is difficult to comprehend the lies of this current administration on how it has ‘transformed’ Nigeria. It has hinged this on the assertion of rebasing the economy. Mr President should be aware that nations can only overtake other nations through economic and not military power, as history has testified to this. The government has continued to blare the trumpet sound that it has Transformed Nigeria but we have continued to mount debts without a significant show for it“. President Jonathan has the constitutional right to seek re-election. However legal the right, when legal right loses strength or conflicts against moral ethos, becomes burdensome to the burdensome to the beneficiary of that right, thus, President Jonathan should tow the part of honour, and save Nigeria from the brink of extinction but as it seem, I strongly doubt this because, Mr President and his team are keen on how to win the next general election, than how to get the Chibok girls out of the captive’s den and defeat the insurgency; how sad. It is in this view that the President should act as a statesman and shelve his ambition for the collective good of this country called Nigeria. He should refuse to be pushed for parochial reasons; neither should he look the TAN way. Even the uninformed knows that President Jonathan has failed. The Boko Haram issue is a pointer that the President has failed to coordinate the affairs of this country; neither has his response, body language and actions said any better. Even the Nigerian Army as it is currently, is weary. An army, which have been reported to have severally deserted their duty post, taking ‘tactical maneuvers’ to Cameroon, abandoning our arsenal and border post for the enemy to feast on is a pointer of the failure of this government. The National Commission for Refugees, Migrants and Internal Displaced Persons (NCRMI) as at 2013, reported that over 3.3million people were internally displaced in Nigeria, as a result of violent conflicts. This also featured in the Internal Displacement Minority Global Report of 2014. Moreover, adding the latest violent and onslaught, and consistent unrest in Adamawa, Bornu and Yobe states, the number are expected to have hit the 5million, mark. The president is currently presiding over a deeply divided country, torn apart by religious extremism, unprecedented corruption in the private sector, and badly managed insurgency, whereas, in a sane society, his curriculum vitae (CV) will not earn any leader or ruler a nomination for a second term, how much more reelection. Nigeria’s corruption perception Index, 2012, published by the Punch Newspaper October 13, 2014, puts Nigeria at 144, in 2013 (only God knows what our ranking for this year will be when Transparency International will be releasing the 2014 index, on the 4th of December), we were further plunged further to 137th out of 177 countries. In the World’s Most Fragile States Index 2014, Nigeria ranked 14th while in Ease of Doing Business Report 2014, the World Bank rated Nigeria 147th out of 189 countries, while in 2013, we ranked 137th. The US State Department Country Report for 2012 the intergrated problems of corruption, money laundering, rise in poverty and lack of respect for Human Rights in the country unprecedented unemployment, glaring poverty, inadequate infrastructure. A president who dismantled the Governors Forum, by supporting an infamous loser on the sidelines, attempting to compromise a democratic process amongst the governors, subverting their freedom to elect their leader, manipulating same by handpicking Governor Jonah Jang of Plateau state, instigating him without minding the cost to the Governors Forum and the wider society, still, you have continued to brand yourself as a torchbearer of free and fair elections in Nigeria and to the world at large, sacking errant Governors through instigated impeachments; how unfair can you be to support Mr Jang’s 16 votes, to Mr Rotimi Amaechi 19votes; supporting loss over victory. President Jonathan in all aspects, has abused his office, he has entrenched corruption by supporting it. His abuse range from disobeying the re-instatement order of Justice Ayo Isa Salami PCA (Rtd), flaunting the orders of the Electoral umpire, INEC, by jumping the gun of campaign, before the whistle went off by. It is difficult to comprehend the lies of this current administration on how it has ‘transformed’ Nigeria. It has hinged this on the assertion of rebasing the economy. Mr President should be aware that nations can only overtake other nations through economic and not military power, as history has testified to this. The government has continued to blare the trumpet sound that it has Transformed Nigeria but we have continued to mount debts without a significant show for it. Oil prices went down to $74 and within week, we are talking of austerity measures, under Jonathan, our government institutions have operated at his lowest ebb; ask EFCC, ICPC, CCB, etc. You don’t transform a nation into Afghanistan and Iraq, and call it‘transformation agenda’, neither do you build the strongest economy in war zones. You don’t transform a man who lives in perpetual fear of being killed anytime and any day, without his killers being brought to justice, or even an attempt to do so. A president who is currently living in self-denial of the realities on ground, and has continually refused to make a change to the ill perpetuated by his government. Mr President at the 2014 World Economic Forum in Davos, Switzerland, while making his contribution to a televised debate titled, “Africa’s Next Billion.” Said, “Corruption is not the cause of all the problems confronting Africa. In terms of security, Boko Haram is the biggest challenge we (Nigeria) have at the moment.” can be said as one of the biggest international gaffe in 2014. The president has completely erased any iota of doubt that he has a thorough grasp of critical issues like the prevalent endemic corruption now crippling governance that demands his urgent attention as president of Nigeria and frontline ‘leader’ on the continent. One would expect that thorough research should be done by his fawning aides before he speaks at publicly, either nationally or internationally. A statement like that is the least expected from the president of one of the most corrupt countries in the world. President Jonathan would have been right if he had said every problem confronting Nigeria and indeed Africa is the result of corruption. Any argument in the contrary is like saying there are evils not traceable to the devil. Mr. President has displayed too much incompetence in handling corruption in Nigeria and several of his other responsibilities as president and remarks like the one in Davos, buttresses this point. It is most unfortunate that our president has a kindergarten understanding of graft and its concomitant effects. He seizes every speaking opportunity to make excuses why he cannot fight corruption. Such prevarication will not help the anti-graft war, they only serve the purpose of encouraging more corruption. He needs to accept that we have a problem at hand and need to stop playing the Ostrich. As a member of the intellectual community, he ought to know better and not mistake effects for causes. Corruption diverts capital from legitimate purposes to making wrongheaded policy decisions which deprives the country of a pool of finances. He has developed a penchant for singing a different tune from realities on ground, same way he has insisted that electricity has improved in spite of citizen reports to the contrary. Deflecting international attention from sleaze is the least expected at a time the country needed a consistent and dogged fight against this monster. The level of corruption in the country demands serious political will to combat, not his occasional rhetoric of promising to fight the scourge. Mr President at the fifth presidential media chat of September 29, 2013, said that Nigeria’s corruption was merely a perception which is grossly exaggerated. His comments are coming at a time that allegations of corruption against officials of his administration are mounting. Some of the probes that shows an evident lack of political Will to decisively deal with the menace of corruption which includes: The KPMG Report that indicted the Nigeria National Petroleum Corporation (NNPC) for corrupt practices; The Nigeria Extractive Industries Transparency Initiative (NEITI) audit report exposing 10 years of corruption in the upstream and downstream sectors of the oil and gas industry; the probe of the Pension Fund Management by the Senate Joint Committee on Public Service and Establishment, State and Local Government Administration; the Security and Exchange Commission (SEC) probe that exposed alarming revelations of corruption in the capital market; millions of barrels of oil, stolen in the creeks of the Niger-Delta; the probe of the oil subsidy regime by the Ad hoc-committee of the House of Reps; the non-prosecution of those indicted in the Halliburton LNG bribery scandal, the Stella Oduah BMW scandal, the Farouk Lawan ‘gate’ cash bribe involving Mr Femi Otedola; and the unsatisfactory explanation the NNPC has given for the $10.8billion of crude oil earning the Central Bank of Nigeria (CBN) declared missing. The list is almost in exhaustive. It is safe to say every problem we have in Nigeria today has its roots in corruption. We would be living in a fool’s paradise if we expected a president that has been encouraging official corruption to see anything bad in it much less a problem for Nigeria. This will amount to shooting himself in the foot. In the words of Mark Modal, ‘Every man will be remembered for two things- the problems he has solved, and the problems he has created’. 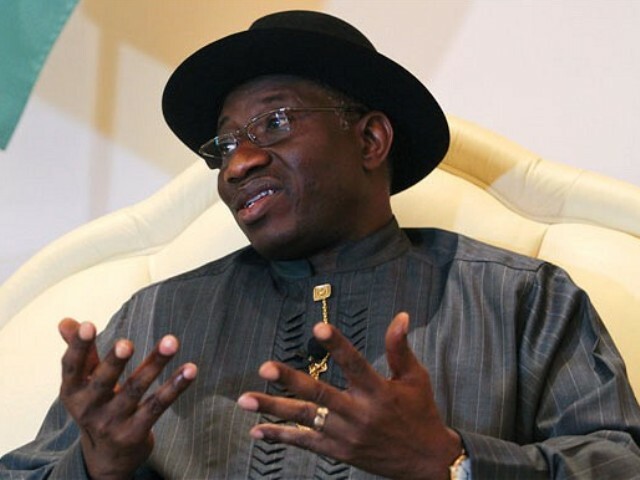 In my own opinion, I believe President Goodluck Jonathan’s presidency has created more problems than solutions. I suggest he tow the path of honour. May Nigeria rise again.